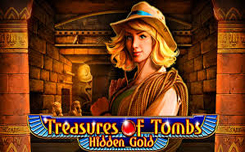 The new slot machine Treasures of Tombs: Hidden Gold is dedicated to adventure, treasure hunts and the secrets of the ancient Egyptian pyramids. The game will unfold on 5 reels, 9 paylines. 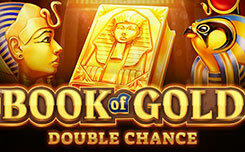 On the screen of the game you can see: Ancient Egyptian deity, valuable relics in the form of a figurine of a sphinx and a scarab beetle, as well as a portrait of a treasure hunters. Wild – the symbol of the eye – the only image with special functions. It has several options – it brings prizes with higher coefficients, replaces other images, and also gives 10 free spins, when three or more identical symbols appear. During the free spins round, a special image is selected in random order, which is endowed with special properties – when you appear anywhere in the playing field, from two to five such symbols, you earn a win with x9. The size of the win depends on the selected symbol. The amount of free spins can be increased by the Wild match. 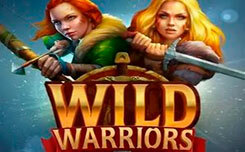 The company Playson released an interesting slot with original features, high-quality graphics and soundtrack. 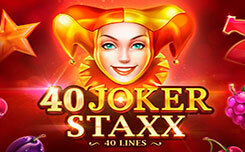 Exciting gameplay and generous prizes will be appreciated by the players.